The turbojet fluid bed granulating machine is designed with a special circular shaped blade to function as air distributor. The blade allows the air flow to pass through the incisions of the blade, thus forming into a cycling high speed air flow. The air cycling flow allows powder materials to rotate in turbojet movement. Meanwhile, the granulating machine has a pneumatic nozzle to spray binder or coating liquid onto the powders. In this way, the powder materials are made into granulates. The turbojet fluid bed granulating machine is widely used in granulating powdered material, enteric coating, slow-release control film coating, and other coating for powder, granule, or pellet material. Some of the granulating machine uses include lysine granulating, granulating and coating for phytase crude, enteric coating of kitasamycin, herbicide granulating, herbal extract granulating, citric acid separation coating, and more. 1. The granulating machine has a specialized air distributor to make material move regularly, and solve the channel flow and dead angle issues also. 2. 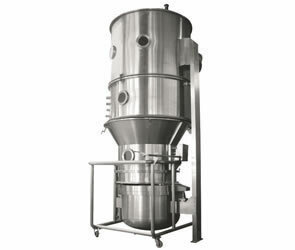 The granules produced by this granulation equipment are porous and firm. 3. 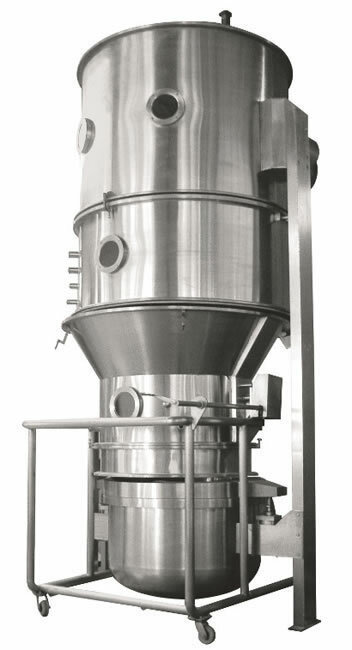 The granulator is also ideal for materials with high hygroscopicity and bad liquidity.